Have anytime access to a number of banking tasks with the convenience of free online banking. Check account balances, transfers funds, pay bills, and much more — available around-the-clock, anywhere with internet access. There's no need to rush to make banking hours — your bank comes to you. Save yourself time and energy without sacrificing an ounce of account awareness. If you have any questions, please feel free to send us a message through Contact Us or call 1-618-634-2002 . 1What do I need to enroll in Online Banking? You will need your personal and account information. The information you provide is safeguarded using secure internet data encryption technologies and is only used for setting up your account. 2How do I get an Access ID and password? During the enrollment process, for security reasons and to maintain the confidentiality of your Access ID and password(s), you will select your own Access ID and password. You can change your password on online banking at any time. You should change your password periodically. 3What software do I need to use Online Banking? Our website is compatible with the following browsers: Apple Safari 4.0 & 5.00 Apple Safari 5.0 for Mac Chrome 15.0 & 16.00 Firefox 3.5, 4.0, 7.0, & 8.0 Google Chrome 9.0 Microsoft Internet Explorer 7.0, 8.00, 9.0, 10.0, & 11.0 Opera 10.0 & 11.00 No additional software is required for online banking access. 4Reasons to enroll in Online Banking? Grand Rivers Community Bank's online banking gives you access to your accounts 24 hours a day, 7 days a week. 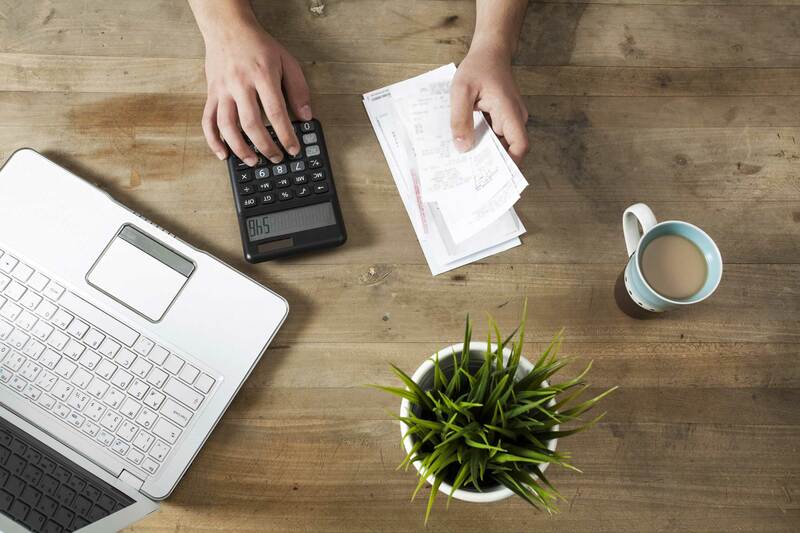 You have the ability to: Review Transactions Balance Accounts Transfer funds between checking and savings accounts. Make Grand Rivers Community Bank loan payments by transferring directly from your checking or savings account. View monthly e-statements Free Bill Pay Download information to Quicken, Quickbooks, Microsoft Money, or Comma Separated (CSV). 5Is there a fee to access my accounts online? No. You can access your accounts using our online banking 24 hours a day. Pending transactions are hold(s) or credit(s) place on your account affecting your available balance. Some pending deposit amounts may include funds that are being held. Some pending debits may reflect a merchant hold on your account, which may or may not be the final amount posted to your account. 7How many eStatements will I be able to view up to? 8What can I do if I forget my login ID/password for online banking? If you have forgotten your Login ID or password, please call the Electronic Banking department at 1-618-294-8686, ext. 5001 (between 8:30am and 4:00pm CST M-F) in order to regain access to online banking. 9Why I am locked out or cannot access online banking? Your access to online banking will be blocked in the event your Login ID or password is entered incorrectly on five consecutive access attempts. If you wait 15 minutes, you can attempt it 5 more times. After the second time, please call the Electronic Banking department at 1-618-294-8686, ext. 5001 (between 8:30am and 4:00pm CST M-F). 10I just opened a new account but I do not see it online. What should I do? You can contact the Electronic Banking department at 618-294-8686, ext. 5001 (between 8:30am and 4:00pm CST M-F) for assistance. 11How do I transfer funds between my Grand Rivers Community Bank accounts? You can make express transfers, scheduled transfers, and recurring transfers that repeat for a specified duration. Click the transfers tab, then click create a new transfer and follow the steps to complete the transfer set-up process. Cut off time is 6:00pm CST. 12How do I change my Access ID or password? You can pay your bills and send money online. You can pay anyone in the United States. If the person or company can't accept electronic payments, a check is printed and mailed for you. 2How does Bill Pay work? You will provide some information about the company or person you want to pay, and then enter how much and when you want to make the payment. Payments are sent electronically whenever possible. If the person or company cannot accept an electronic payment, a check is printed and mailed for you. 3Who can I pay using Bill Pay? 4Which bills can't I pay with Bill Pay? You cannot use Bill Pay to send payments to addresses outside the Unites States. We don't recommend using Bill Pay to make state and federal tax payment or court-ordered payments. Such payments are discouraged and must be scheduled at your own risk. Yes. Bill Pay uses several methods to ensure that your information is secure. It uses SSL (secure sockets layer) which ensures that your connection and information are secure from outside inspection. Bill Pay also uses 128-bit encryption to make your information unreadable as it passes over the Internet. It will automatically sign you out of a session if you are inactive for a predefined time (usually 10 minutes). This feature helps prevent another person from being able to resume your session if you walk away. For best security, don't use your browser's Back or Refresh buttons, and sign out immediately after your finish your tasks in Bill Pay. 6Is my personal information kept private? Yes. Your personal information is used to help us maintain your account and verify your identity. We verify this information with a consumer credit reporting agency for your security and protection. The verification process does not affect your credit report, credit rating, or credit worthiness. 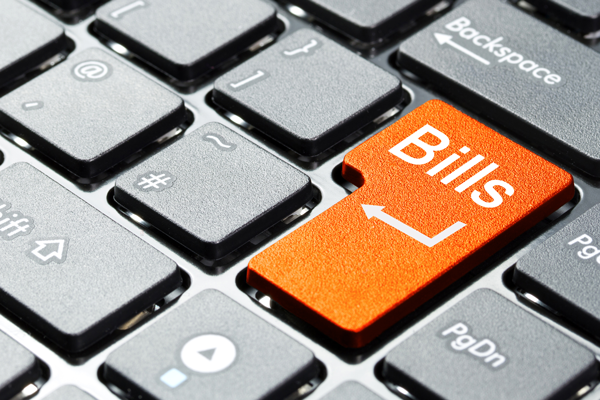 9What kinds of accounts can I use with Bill Pay? You can use checking accounts and money market accounts that support electronic transactions. 10When is the money for the payment withdrawn from my account? If the payment is sent electronically, the money is withdrawn from your account on the payment date. For some checks, the money is withdrawn on the payment date. For others, the money is withdrawn when the company or person deposits or cashes the check. 11How do I know if a payment was sent? You can see that status of your payments in Bill History. Payments with a Paid status have been sent. 12When does the company or person receive my payment? If the company you are paying can receive electronic payments, they typically receive the payment in one or two business days. If the company or person you are paying cannot receive payments electronically, we mail them a paper check. This process typically takes three to five business days. With the Payments Guarantee, you can be assured that your electronic payments are safe and reliable. When your payments are processed through Bill Pay, you are protected in the unlikely event of unauthorized transactions or processing delays. This applies when all the payment and contact information provided is accurate.